Tonight’s Semi-Final matches of the Eights couldn’t have been played on a better summer’s evening with very little breeze. 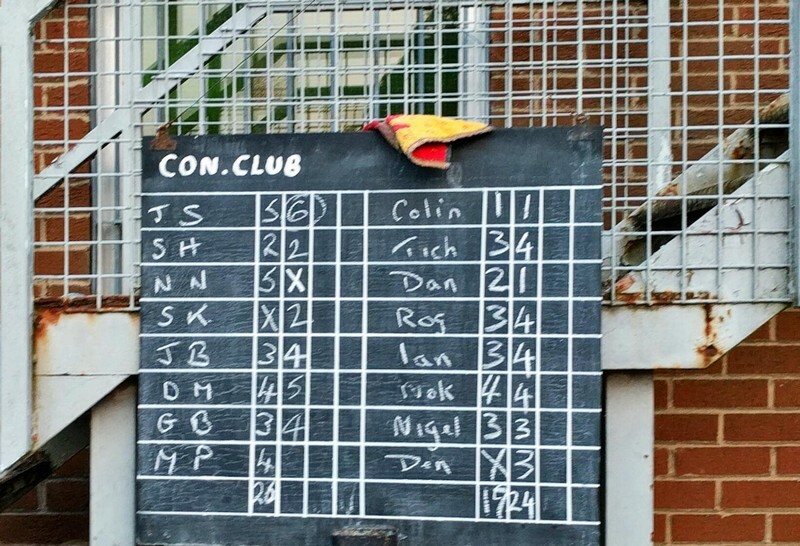 At the Abingdon Conservative Club Spread Eagle took on their B team. Spread set the first leg with 26 and Spread B couldn’t catch it. Then Spread B set 24, a decent score in any game but Spread started with a 6 from John Simmons and quickly filled the rest of the board to win two straight legs. 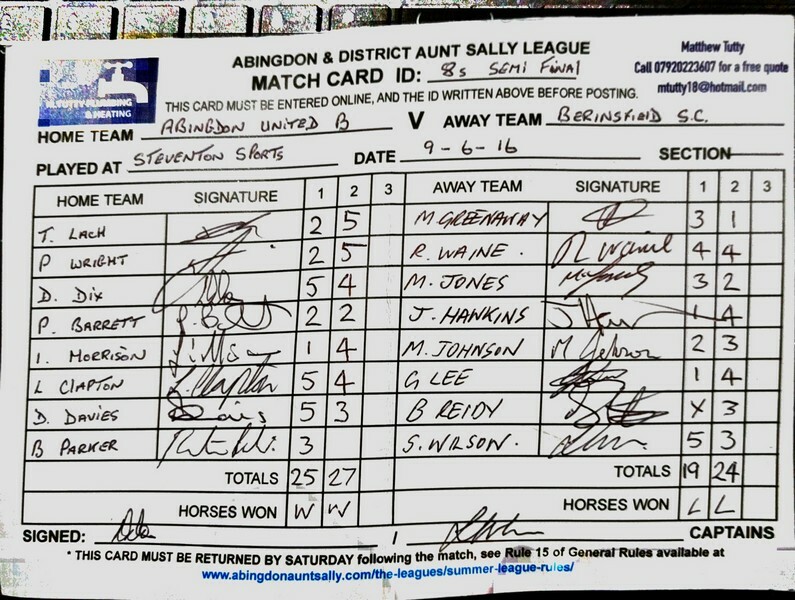 A similar story at Steventon Sports Club for Ab.Utd vs Berinsfield with a Berinsfield failing to catch a 25 set and then ‘only’ setting 24 with Ab.Utd getting 14 in the first three players. 2 straight legs to the current league leaders Ab.Utd. Final of the Eights is on the 23rd June (venue to be announced) so once you’ve voted in the referendum go along and relax with what I’m sure will be a great game of Aunt Sally!